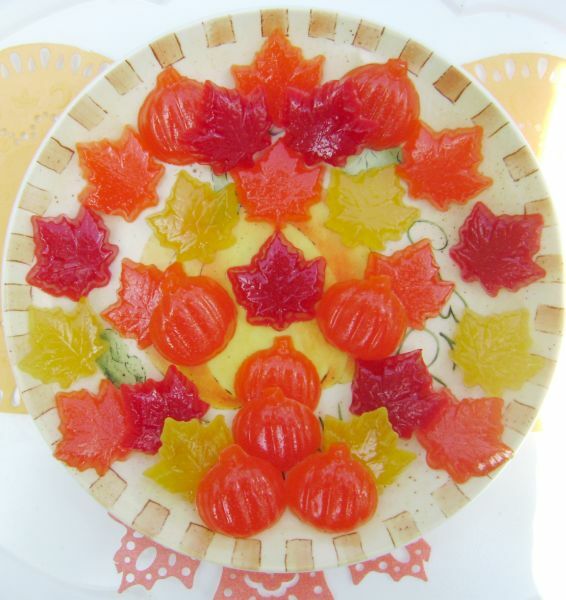 Fun, Fall Harvest Pumpkin and Leaf Gummies. 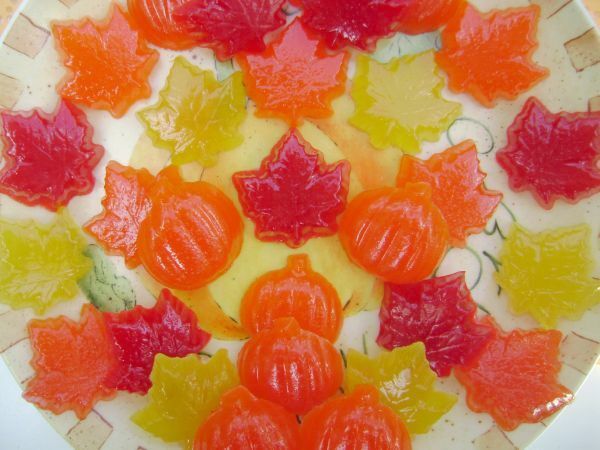 Leaves measure 1 and 1/2" each and pumpkins measure 1 and 1/4" each. Order is for 45 pieces. 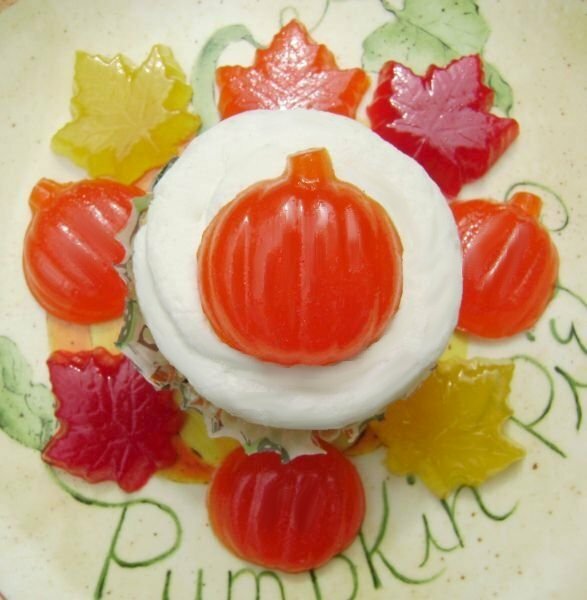 Perfect to add to treat bags, your dessert table, use as cake decor or as festive Fall cupcake toppers!